Apple released a new update for Mac OS X Snow Leopard which brings it to version 10.6.3. Though there aren’t any great features but there are a lot of fixes and an update is recommended. It addresses various security issues and includes a lot of patches and fixes. The file is 784MB in size and a list of all the fixes can be found here. Shouldn’t the iPad have a USB Slot? USB slots these days are used for just about everything whether you want to connect your iPod with your laptop or transfer pictures from your camera or even for transfering important data from your external hard drive to your computer. With the USB speeds getting better with each passing day, they have become a necessity and even netbooks do have atleast two slots. Well, according to Apple, the iPad is a netbook and a link between the MacBook and iPhone. How could you even imagine a netbook without a USB slot – not even a single one? When the iPhone was launched everyone was astonished by the power of the device and even more surprised by the functionality of apps. The success of the iPad will surely be apps but this time accessories seem to be dominating it. Apple does offer you a camera connection kit by which you could transfer pictures from your camera to the iPad but what about data and syncing your iPod? The OS is not even compatible for these things. You could transfer data by BlueTooth but due to the restrictions imposed by Apple you cannot use it to transfer files via other phones such as those operating on Windows Mobile. Transfer of data is only possible with other iPhones and iPod Touches. A lot of devices don’t even have inbuilt Bluetooth. USB slots are even used to connect High Speed Data Cards ( Mobile Broadband) . This could have been another means of connecting to the internet . So then you could have WiFi + 3G + High Speed Intenet via those data cards. USB 3.0 is being implemented on almost all new devices. I truly understand that the iPad is a content consumption and a content creation device and not a replacement for a laptop but a USB would have spiced things up a bit. There are quite a few apps which allow file exploration on the iPhone and iPod Touch. They could be used for transfers using an external drive. Or even if Apple could come up with an accessory which could be connected to the dock connector port and would have a USB port on another end (just as the camera connector). Think about it. Post in your views in the comments! Filed Under: apple Tagged With: ipad usb, ipad usb port, ipad usb slot, Shouldn't the iPad have a USB Slot? 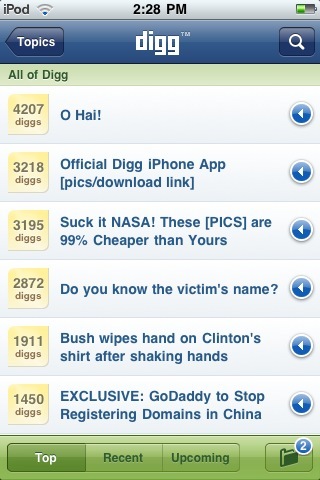 Digg launched its official app for the iPhone yesterday. 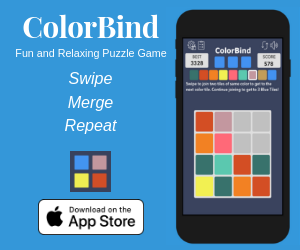 The app is not bloated and is simple, has a good interface and is easy to use. The app displays all top dugg articles from all categories on its first page . There are three sub menus to choose from including Top, Recent and Upcoming. Then you could browse through articles by categories/topics . Choosing a topic would result in the articles from that topic. You could tap on an article to read it and then digg it if you like it. There is a thumbs up, digg, thumbs down icon below the article. you could tap on Digg to digg the article. After tapping on Digg you would be redirected to the Login screen which is similar to that of the desktop log in screen. The log in screen is quite slow and buggy. After logging in you digg that article. Digging and Commenting an article is not a pain. Click on the comment icon to view all comments and to comment . If you run of time you could save the article and read it later. Saved articles can be viewed by tapping the Saved Results icon on the below bar. You could search for related articles or type in a query and digg would put up some articles related to your query. The app has an inbuilt browser which redirects you to the source of the articles. It does not have the option of “Show Text Only” which makes it difficult to read an article . Apart from digging an article you could share it on Facebook, Twitter or by Mail. 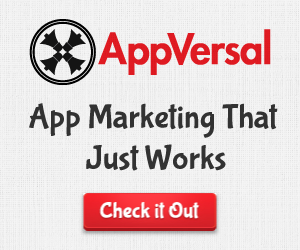 The app is FREE( of-course ) and is compatible with iPhone OS 3.1 . These were some of the good things, now let us turn to the bad part.The app is not complete and lacks in many features. 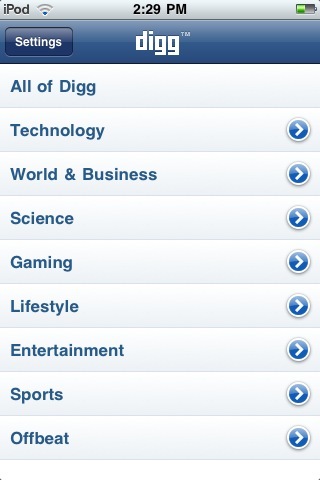 If you are a blogger, you cannot submit articles on Digg using this app. You could just Digg already submitted articles. The app even crashes a lot.Sometimes the page simply fails to road. If you are on iPhone OS 3.1.2, then the app could be a nightmare. It is quite slow and buggy. Do post in your reviews about the app in the comments and speaking of Digg don’t forget to Digg our articles! 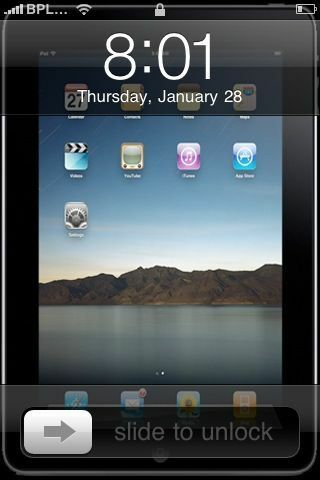 As soon as the iPad was released the jailbreaking community started to emulate it. A lot of users have released themes of the iPad for jailbroken iPhone/iPod Touch. As almost all have the same name, I am going to pull out 5 of them along with the authors name which would make it easier for you to choose and download the particular one. Many of them were also buggy and were not iPad themes, so do make the right choice. To download them you need to go to Cydia and then type iPad in the Search Bar. 1. Simple iPad Theme – Developed by rorypiper. This iPad theme completely replicates the iPad and even shrinks the icons. It has the iPad Dock, Lock background and the Wallpaper. After installing it add beyouriphone.com as a source and then download Shrink from Cydia to shrink your icons. 2. dmmendels iPad Theme – Developed by Mendel Suissa. This also does the same thing but it is developed by a different author. 3. iPad Complete – Developed by Mani. A winterboard theme for the iPhone and iPod Touch .It fails to shrink the icons but that could be done via Shrink. It even does not display the percentage of battery remaining beside the battery icon on the status bar. You even have to activate Black Navigation Bar from Winterboard to get the complete experience of the theme. 4. iPad Dock Theme -Developed by joavst. If you are fascinated by the iPad dock itself and don’t want to change everything else then you could have this. It also sets the iPad default wallpaper as your lock screen background.Just gives you the feel of the dock. This dock theme fails to represent the proper iPad Dock so you must go for a complete theme. 5. iPad – Developed by Powertoola. This theme is for SpringBoard. The iBookstore just got larger. During the launch of the iPad that is in the month of January Apple had signed up with five of the biggest publishers for the iBookstore .Apple has added two more to their list. Perseus Books Group, a large independent publisher, based in New York, USA. Workman Publishing Company , publisher of primarily non-fiction print based in New York USA. Known for it’s famous publication “1000 places to see before you die”. Reportedly, Amazon is asking publishers to sign up with Apple. Amazon has a special preview page where it displays information about the Kindle app for Tablets including the iPad. The looks are pretty much similar to iBooks which is on the iPad. This obviously means that Amazon would lose Kindle sales and is driving more and more people towards the iPad. iPad already has the iBooks Store which includes books from the major five publishers in the world and along with the Amazon Store which nearly has all books, it would take a lot of innovation to beat the iPad. It uses WhisperSync to automatically synchronizes your last page read, bookmarks, notes and highlights with Kindle and Kindle-compatible devices PC, Mac, iPhone, iPad and BlackBerry. 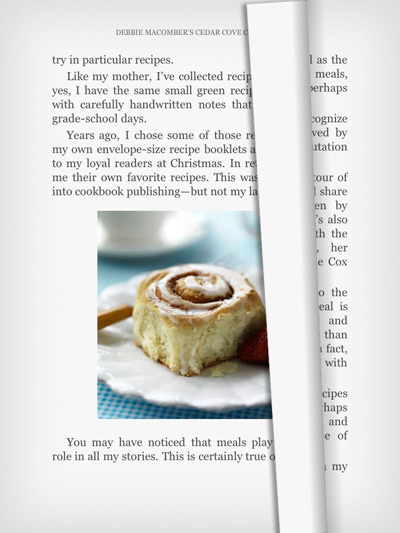 It almost has all the features of the iBooks app including adjustable screen brightness and Page turn animation replicates the look of turning a page in a book. If you already own a Kindle, then you could plan to donate it. Amazon has finally accepted its defeat and now wants to capitalize on the hype surrounding the iPad. By being available on the iPad, it could generate revenue by selling books. Click here to navigate your browser to the Kindle for Tablets Page. Consider a situation where your Windows PC has crashed. You had not created a backup of your data which included your iTunes Library and are now worried about losing all your favorites. You later fix your PC and want all your songs back.Now all yours songs were on your iPod and you need to transfer it from your iPod back to the PC. iTunes does not allow such transfers. Let us explore another problem which is similar to the one above. Say, your friend has a movie on his iPod which you too want but his iPod is synced with another computer. You just can’t copy and paste the movie due to the restrictions imposed by iTunes. Well, now you have the solution. In such cases Xilisoft iPod Rip comes in handy. There are tons of videos on YouTube and millions of How To on this niche and none of them seem to work but this one does. This allows you to transfer files, songs, videos from your PC to your iPod and the other way round without using iTunes. You could even backup your iPod files and restore them if an incident like the ones described above have been encountered. The software supports all kinds of iPods, from nanos to touches. 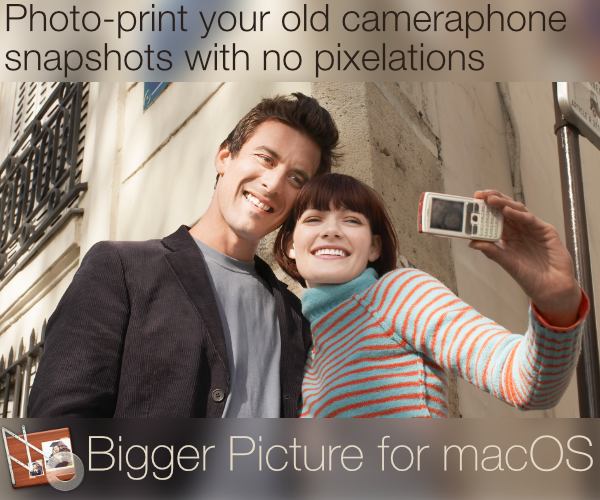 It even works with your iPhone and is compatible with both PC and Mac. It is compatible with iTunes 9.0.3 (latest) and works like a charm. Xilisoft is a trustworthy company which makes loads of other software and freeware including iPod Rip which is magical. With this your iPhone or iPod could work as a hard drive and it even has an inbuilt player to play your songs on the go. As soon as you plug in your iPod , Xilisoft detects it, it displays all the details about the iPod just like the way iTunes does.Next,you’ve got three options on the bottom to choose from- Copy files to iPod, Transfer files from iPod to PC/Mac or transfer files from iPod and iPhone to iTunes for backup. The UI isn’t that complicated and is comfortable even for beginners. The file is 5.80 MB and if you like it you could have it for $25.95 . Value for Money – 7/10. More and more “how to’s” to follow only on http://theapplegoogle.com. Apple on 11th March released a patch for Safari. Sixteen fixes were present in total out of which six affected only Windows whereas the rest affected both Mac as well as Windows . Apple cites this update as “highly recommended” . The fixes improve performance, increase stability and enhance security.All security updates are basically remote code execution or application termination. For detailed information about the security patches click here. According to Apple, Mac is quite safe and has no viruses. Apple still continues to bag a lot of Mac users for this very reason. The latest loopholes are a threat to the internal architecture of Mac OS. “They sell lots of computers and nobody doesn’t buy Apple computers because of a perceived lack of security. So in their minds, they don’t have a security problem until it affects their bottom line, which hasn’t been the case, yet”, said the expert.